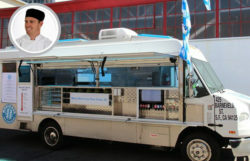 Around the nation mobile food facilities or mobile food trucks are showing up everywhere: on street corners, at school campuses, in front of businesses, and at special events. Traditionally, food trucks serve basic menus of hamburgers, sandwiches, and tacos typically at construction or agricultural sites. Similar to fixed retail food facilities, mobile food trucks in are regulated under the provisions of local jurisdictions and are inspected and permitted by the local environmental health agencies, which inspect and permit the trucks annually. Below are the state-specific food safety handler and certified food safety manager regulatory requirements. Most state licensed food establishments require a manager or operator to be certified by an exam or demonstrate knowledge in food safety rules and procedures. For some states or local jurisdictions, food handler re-training and manager re-certification is required more frequently than the normal time. Always check with your local regulatory authority for specific details. The information in the table below is just a guide and believed to be accurate at the time provided. No warranty of accuracy is given. Please check with your local health department or regulatory body within your jurisdiction for the most current information.